Stillingia is a North American plant in the spurge family also known as Queen's Delight, Yaw Root, Silver Leaf, Tooth Leaf and Cockup Hat. While the historical significance of some of these common names eludes modern etymologists, it is known that the plant was frequently used by Native Americans and likely introduced the herb to European settlers. The dried herb is used to make teas, as well as oil infusions, salves, ointments and creams for topical use. storage tips Store in a tightly sealed container in a cool, dry cabinet or pantry. cosmetic Infuse in oil or decoct to make salves, ointments and other topical formulations. culinary Prepare as tea. Stillingia root may also be tinctured. safety Do not use during pregnancy. Nausea, vomiting and diarrhea may result if taken in high doses. Stillingia root is often combined with other bitter herbs, such as prickly ash. 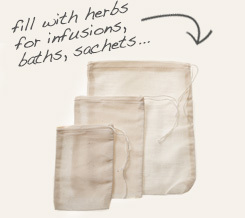 Easily decoct Stillingia root by using a muslin herb bag. Bitter and acrid. Flavor is enhanced when combined with other herbs, flowers and fruit peels. 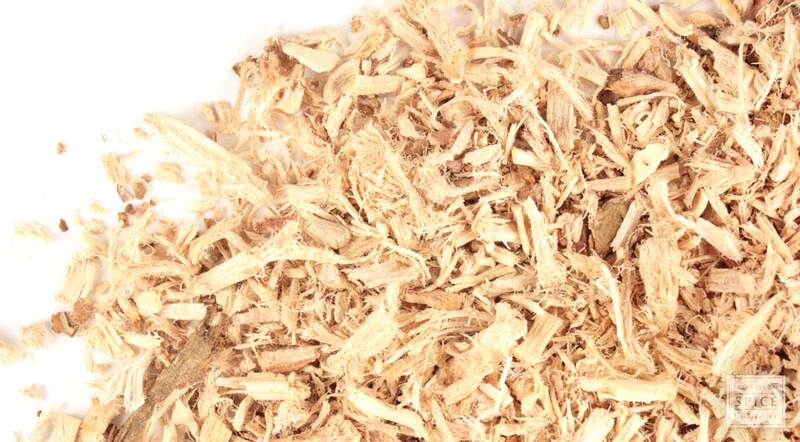 Stillingia root, also known as Queen's root, is an herb in the spurge family that is native to the Pacific Islands, Latin America and the southern United States. The herb was known to Native Americans as a restorative herb that was particularly useful to address respiratory dysfunction. It was later adopted by the Eclectic physicians of the early 20th century as an alterative. The bitter principles of Stillingia root lend a tart, acrid flavor, but also provide astringent properties when applied topically. Infusions and liquid extracts of the root are used to stimulate lymphatic function to help counter various skin conditions, such as acne, eczema and psoriasis.